Leeds and District Cup 1/4 final result Westwood 3 - 0 West End. 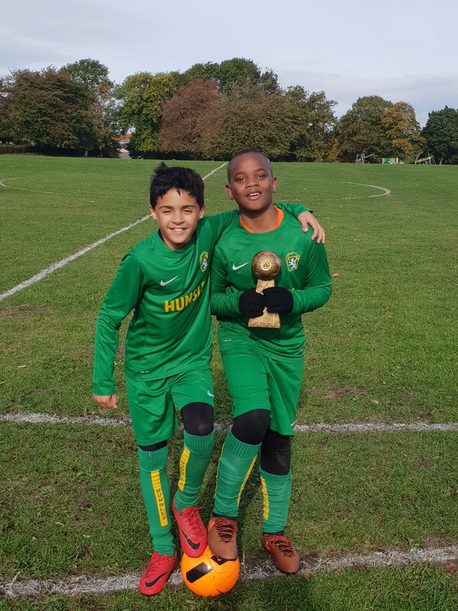 2 goals from Reece Haq and 1 from Ibrahim Jatta has seen us progress to the semi final where we will meet either Shadwell Primary or Grymes Dyke primary school at home. Well done boys! U9 Come and play football. 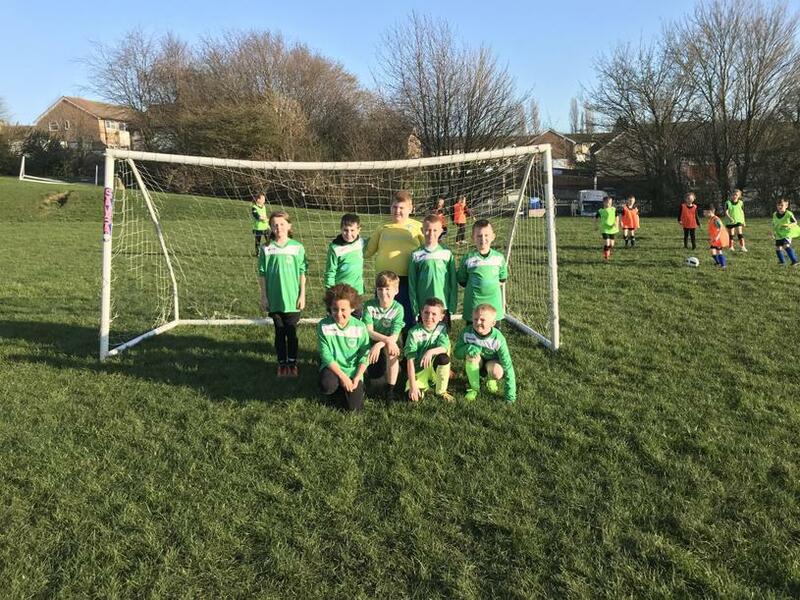 y3/4 Football club children had the chance to represent Westwood at the under9 festival at Hunslet Club. They played really well finishing 2nd place in their group. Girls from year 5/6 got the opportunity to tryout Rugby with Leeds Rhinos coaches. They have all been invited to South Leeds Spartans for another taster session. 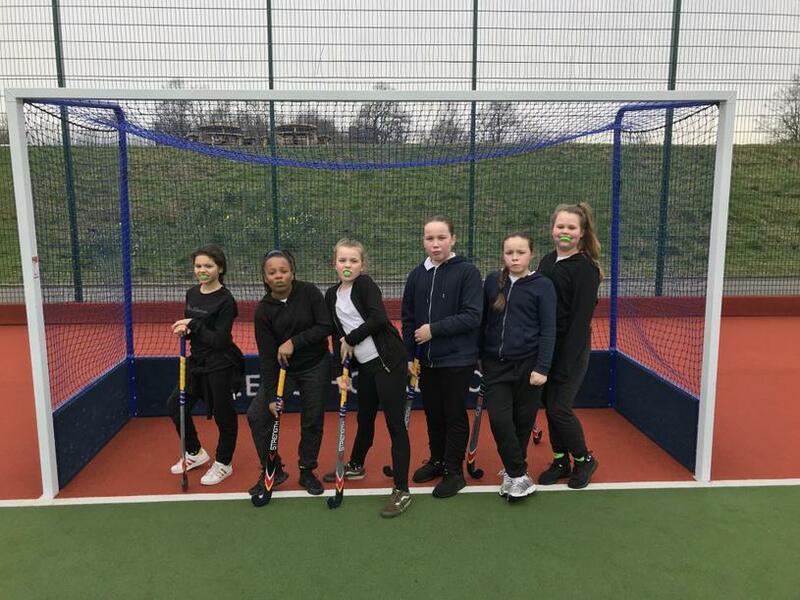 Girls from year 5/6 had a great time trying out Hockey for the first time. At sports park Weetwood they got to chance to learn new schools and also experience the amazing facilities of Leeds University. They had a great time and are all keen to try hockey again in the near future. Children are progressing their ball control skills towards working with a partner. Throwing and catching, passing and receiving, kicking and rolling. Ks2 are continuing to work on ball games. All skills are transferable as we study passing and moving, creating space and attacking and defending. 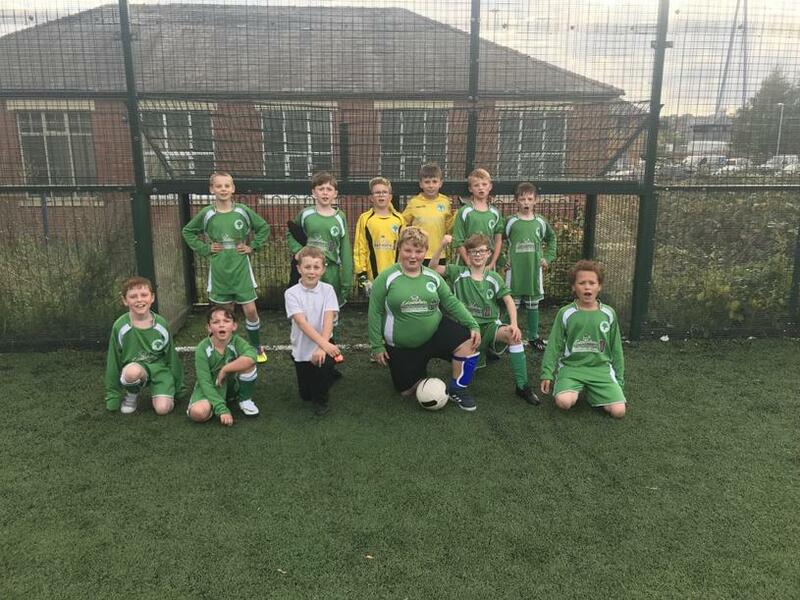 Children from Clapgate football club came to westwood for a friendly fixture. Both groups of children proved they have been practising their skills. Westwood winning 1-0 in a game that could have gone either way. Ryan Burdon with the goal. Addison Porter with the man of the match! WELL DONE!. Year 5/6 basketballers visited our partner school for a Basketball fixture. They played extremely well running out 24-2 winners. Well Done! 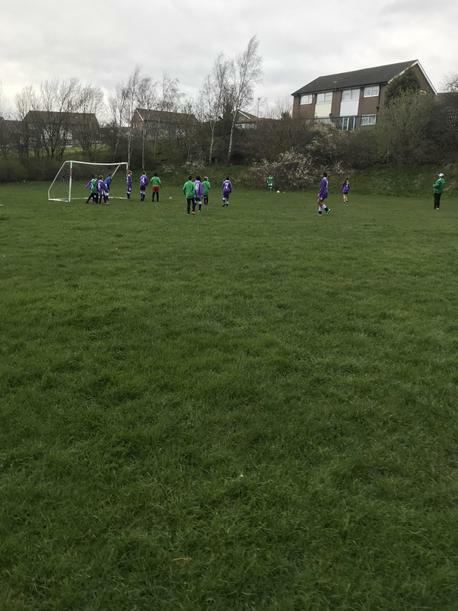 Westwood progressed to the quarter finals of the Leeds and District Cup with a hard fought 4-0 win away at Wetherby Deighton Gates. A Hat trick from Ibrahim Jatta and a goal from Timothy Kakunguwo put us through to the next round. Well Done! Are moving onto ball skills in their PE lessons through a circus adventure theme. This includes ball control and Throwing and catching. Experimenting with various size equipment. 15 children from ks2 were invited to come and try badminton at Garforth Leisure Centre. The children learnt new skills as well as trying something new. They all had lots of fun and can't wait to do some Badminton back at school. Football club is still very popular with 24 children attending y3/4 football club and 20 children attending y5/6 every week! We are seeing a real improvement in skills learnt and the children are enjoying the challenge! 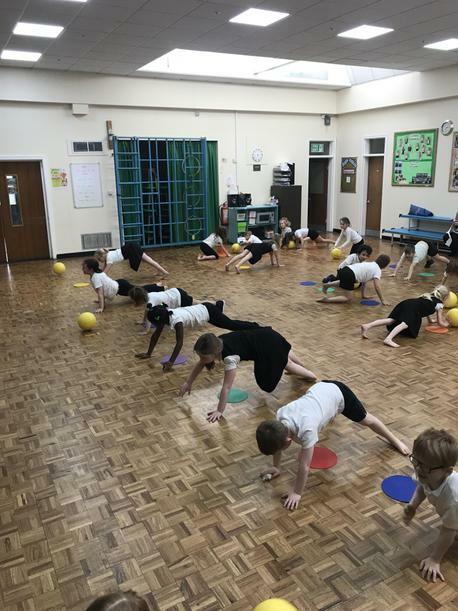 Children in ks2 are working on Ball games up until Easter. 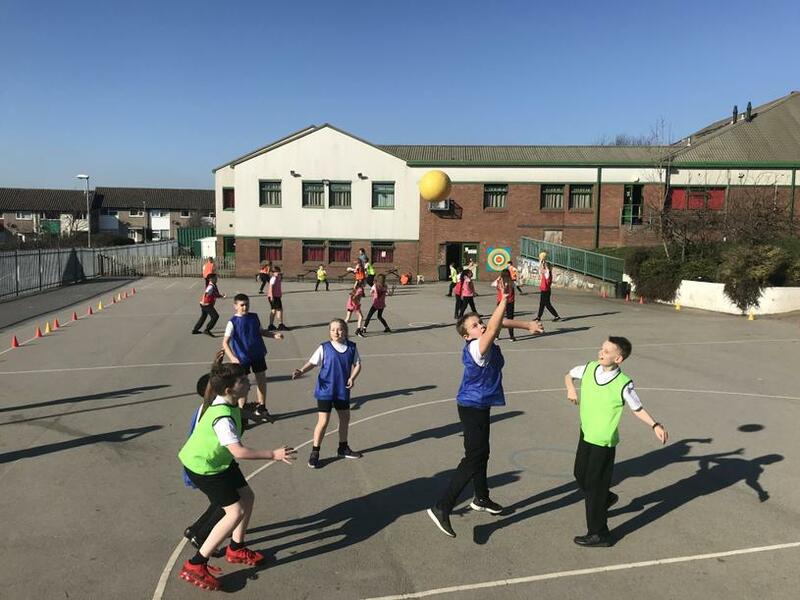 These will include Netball, Basketball and Handball games and the skills involved. 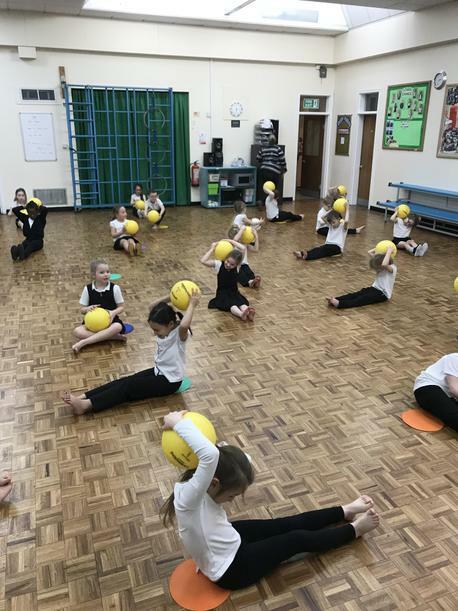 For the next 3 weeks children in ks1 and foundation are working on their seated balance and core stability. Ask your children to show you their balance skills. Children from year 6 have been on a week of outdoor and adventurous activities. During this week they have covered team building, walking, caving, gorge scrambling and so much more. The children have learnt to become more independent, working as part of a group and supporting each other. They have had a fantastic time!!! 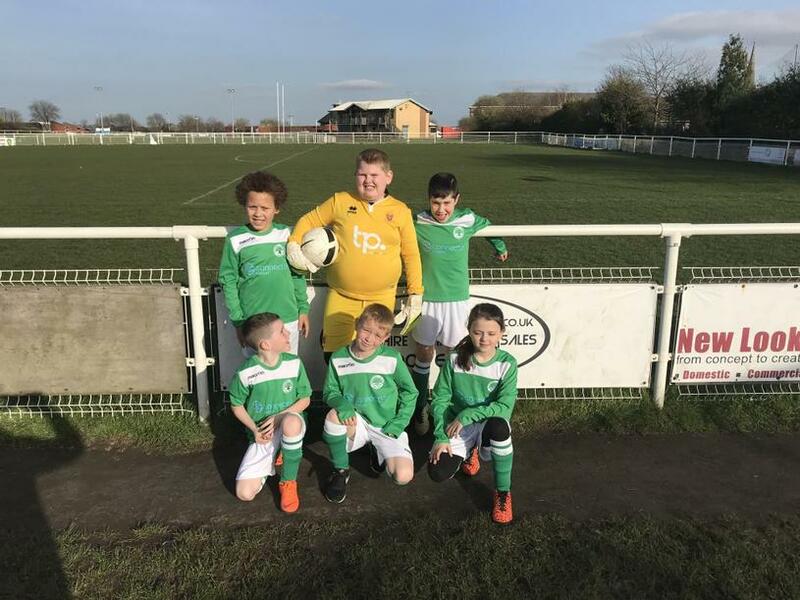 Westwoods hopes of reaching the national finals at Wembley stadium came crashing to an end in the Semi Finals of the Leeds Finals. A last minute goal from Woodlesford primary was the fatal blow that knocked us out of the competition. The boys however did themselves proud qualifying from their group and keeping going right until the end! WELL DONE! 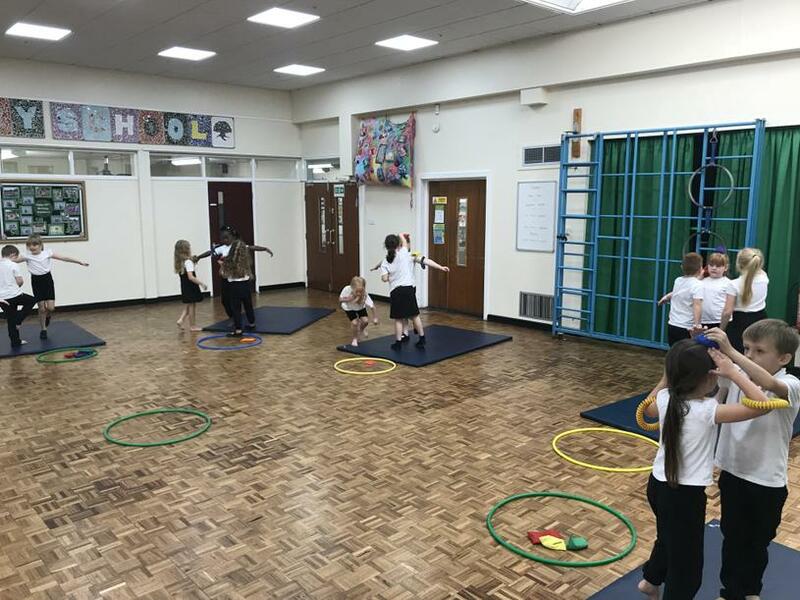 This half term children in ks2 are focusing on Gymnastics. Skills include Jumping and Landing, Rotation and Rolling, Balance and Performance. Stay tuned for some of the childrens' work shared on this thread. This half term children in KS1 and Foundation are working on their jumping and landing skills. Parents please work with your children in order to help them progress even quicker! The year 5/6 football club members went with Mr Frankland to watch Manchester City Vs Shakthar Donetsk in the UEFA Champions League at the Etihad Stadium. Manchester City were comfortable 6-0 winners meaning we got to see lots of goals - WHAT AN UNFORGETABLE EXPERIENCE for all the children who attended! The year 2 and 3 children are being taught Rugby skills by professional Rugby player Michael Nuttall from Hunslet Hawks. 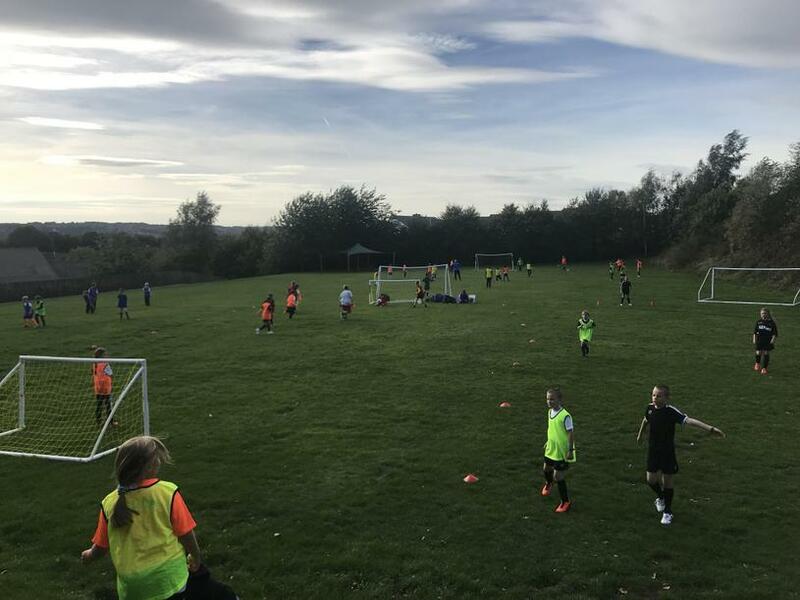 The coaching is designed to develop school and club links and increase the number of children taking part in sport outside of school. Lookout for leaflets coming home with children on how they can get involved! Goals from Reece Haq and Ibrahim Jatta saw us run out 2-0 winners against St Phillips. Timothy Kakunguwa scored the winning goal and claimed Man of the match in a closely fought game with Hunslet St Marys. 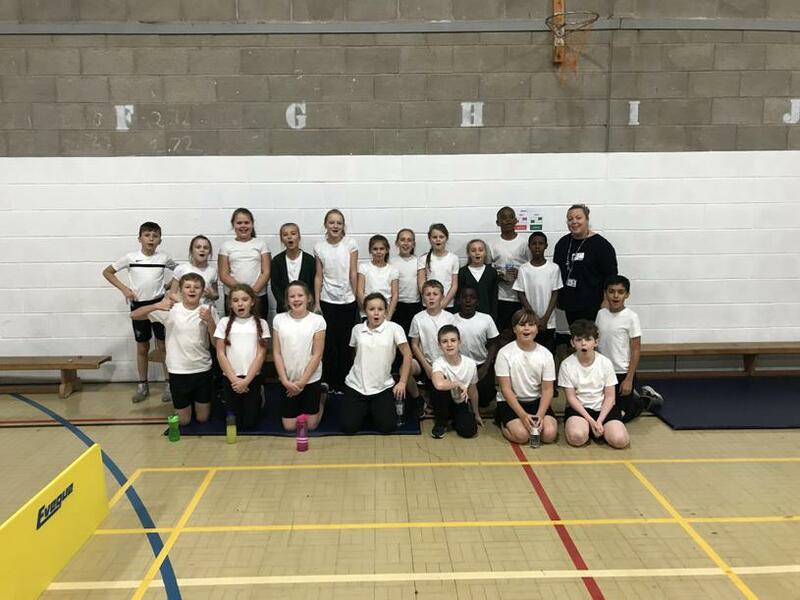 Year 5&6 children represented Westwood at the Sportshall athletics South Leeds qualifying round at Cockburn today. The children competed against schools from our local area and eventually finishing in 4th Place! They did themselves and Westwood proud with stand out performances from the boys relay team (Ibrahim Jatta, Etinosa Omorogbe, Lewis Martin and Reece Haq) and Hanna Krac, Olivia Popplewell and Talia Spence in the girls events. WELL DONE! For the second focus this half term, children in key stage 1 are learning to balance on 1 leg. The skills get progressively harder to challenge children to develop their balance. All these skills will help children in their physical development and teach them skills transferable to key stage 2 PE. Parents - Follow the links below to help your children with their balance. 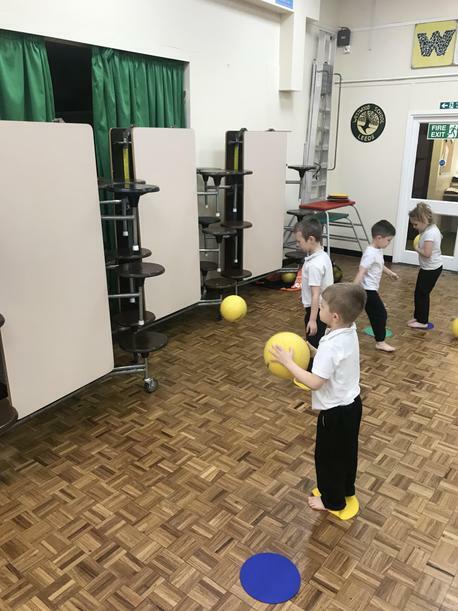 The children have spent lots of this half term working on ball familiarisation skills, getting used to controlling the ball and moving it in different directions. It is clear to see the progress they have made by how comfortable they now look when applying their skills into games. 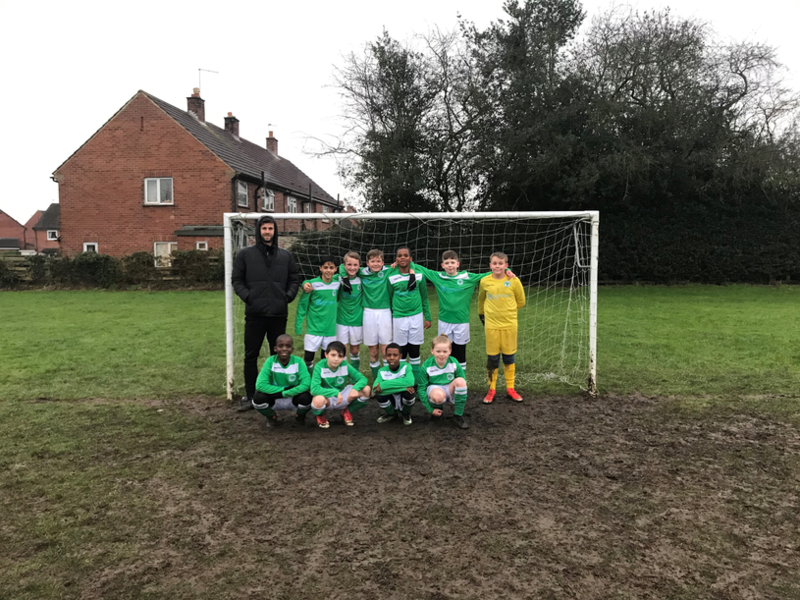 Mr Frankland enjoyed his sunday morning watching Etinosa Omorogbe & Reece Haq from year 6 playing for Hunslet Club u11's. The boys played fantasic with Reece scoring a goal and Eti getting the man of the match! Keep it up boys. Any other children wanting to get involved out of school contact Imran Haq on 07779 787 059 for details. Children attending the 'come and play u11' festival of football at Hunslet Club. 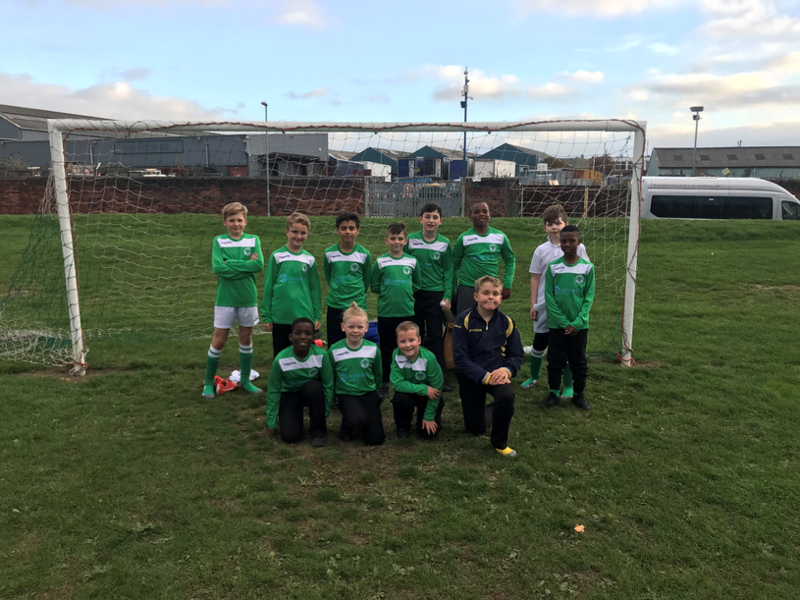 The children put in some fantastic effort against other schools and did themselves and Westwood proud in what was some of their first ever football matches. Well done boys! 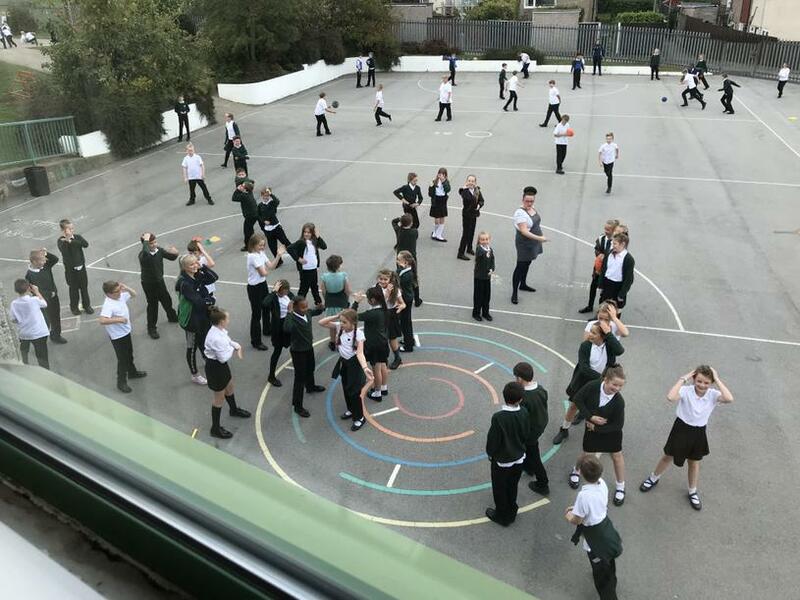 Children enjoying the new music player to increase physical activity on a lunchtime. Creating their own dance routines and partying to some well known classics. Children!! Don't forget to keep practising your floor patterns. Your progress has been fantastic! We are going to need all these skills as we develop our PE into Key Stage 2! Parents - Ask your children to show you their amazing bike riding skills! Parents - Did you know today marks the start of 'National Walk to School Month'? Why not join the fun and encourage your children to be active! 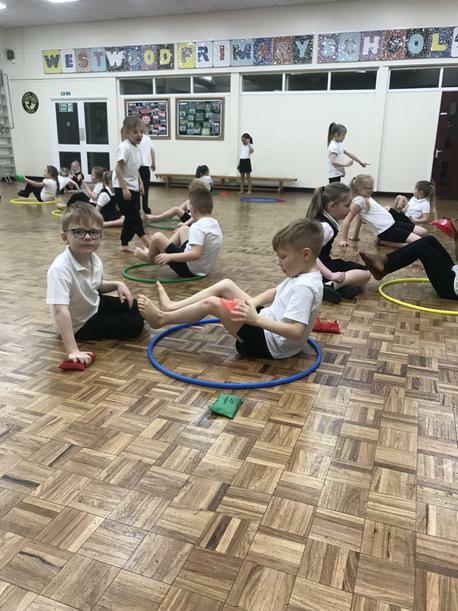 In preparation for the upcoming Sportshall Athletics competition (Cockburn - 15th October) year 5&6 have been working on their running, jumping and throwing techniques. They have been competing against themselves to set personal bests and challenge themselves to improve. Has been at the Active Schools PE Leader day sharing good practice with all the other PE teachers from around Leeds. 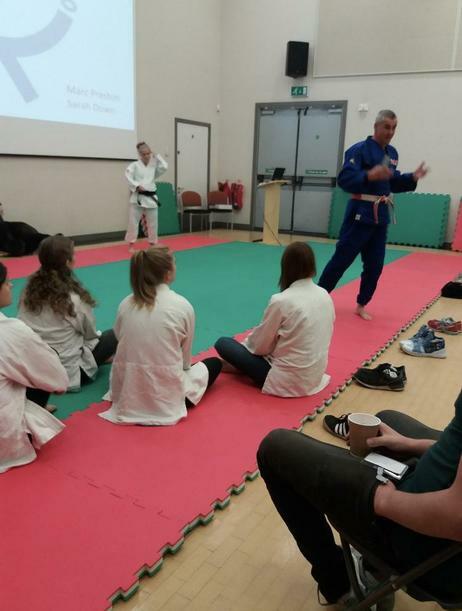 Not only that he made friends with Destination Judo and they've agreed to come into Westwood for 3 mornings 3rd-5th December so all our children can try out something new! Today we celebrated national fitness day at Westwood. 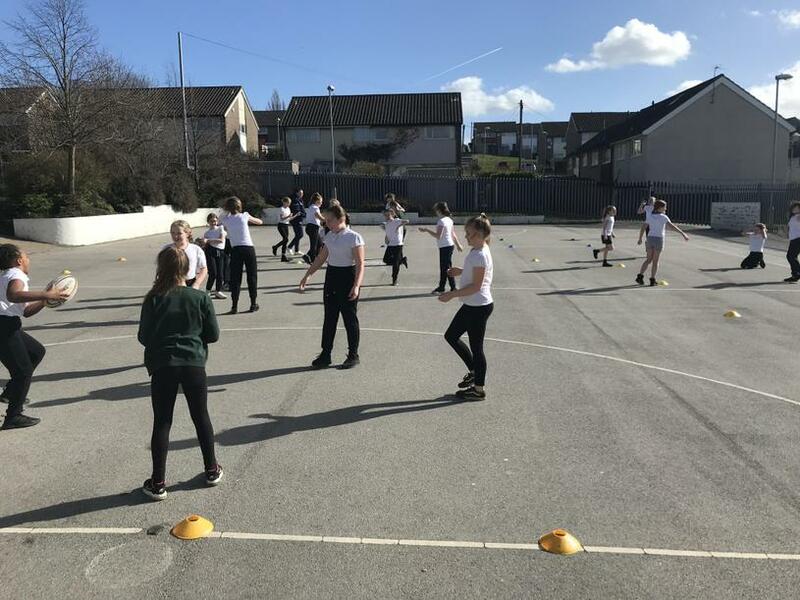 Children learnt about the benefits of a healthy and active lifestyle as well as taking part in some fun exercise challenges of their own. Children - Don't forget to continue to exercise on your own. If you want another copy of Mr Frankland's exercise challenge just ask your teacher! For the 4th consecutive year!! 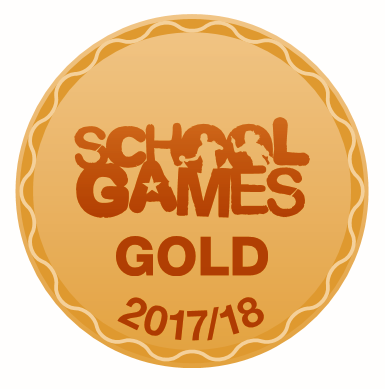 This means we continue to offer the highest quality PE provision for all our children at Westwood. Creating opportunities for them to participate and compete in a range of physical activity both inside and outside of school. If we can continue to develop our offer in 2018/19 we will achieve PLATINUM recognition for sustained quality of Physical Education. In half term 1 ks2 children are focusing on Tag Rugby. So far we have focused on passing technique when stationary and then on the move, before looking at applying them into small passing focused games. Football Club is now up and running for ks2 children. 50 places have been made available and children will be coached by Mr Frankland and Mr Haq. The new equipment has arrived in school and we have bought a ball for every child attending which means they will have lots of chance to learn new skills. 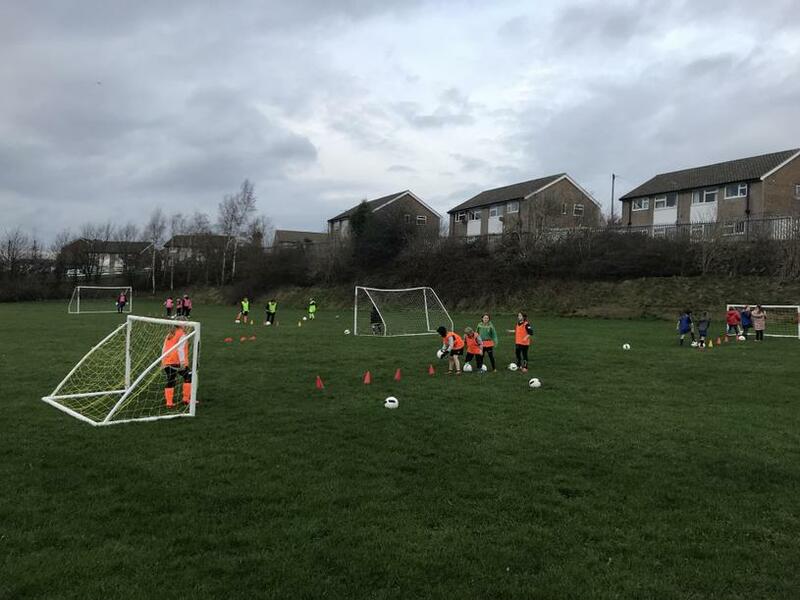 There will be a heavy focus on skill development during football club we will be encouraging children to continue to practice the skills at home in order to progress even quicker. 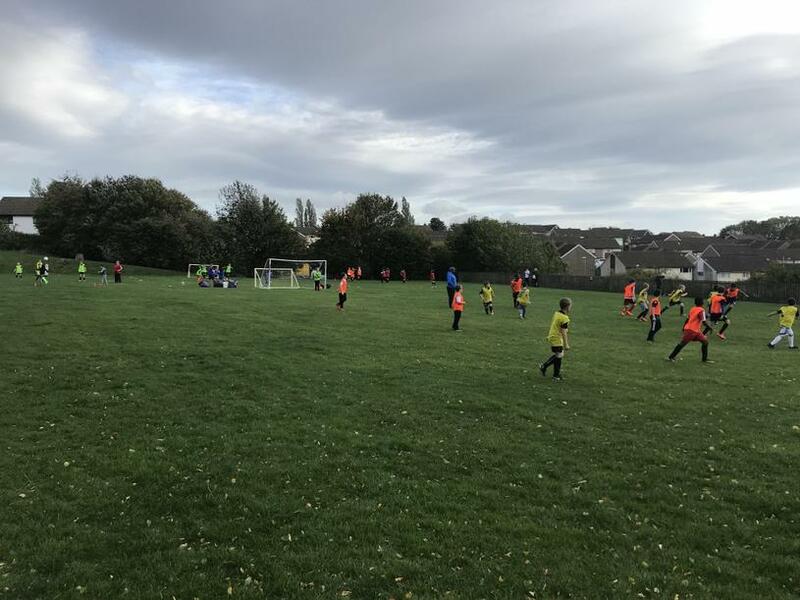 The aim this year is to ensure all children attending football club get the chance to represent Westwood in competitive games or friendlies against other schools. Parents - if your child has any old football boots that would do for other children at school to borrow - please send them with your child to pass on to Mr Frankland. *Note that due to staffing ratios football club is now full, there is a reserve list if you wish to join. If your child is no longer attending football club please notify the office. If any child misses 3 consecutive sessions or 6 within a year they will be taken from the register and their place offered to another child. 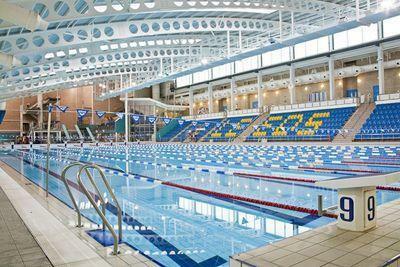 Children from year 4 have started their weekly Swimming lessons at John Charles Centre for Sport. Children will gain water confidence and develop stroke technique to improve the swimming ability of all children.